Los Angeles, Calif., January 29, 2018 – Marty Adelstein’s production company Tomorrow Studios (Snowpiercer, Good Behavior), a partnership between Adelstein and ITV Studios, today announced plans to adapt THE CHEMIST, based on the successful book by New York Times best-selling author Stephenie Meyer (Twilight) for television. Meyer and Meghan Hibett of Fickle Fish Films will produce the series along with Tomorrow Studios’ Adelstein and Becky Clements. 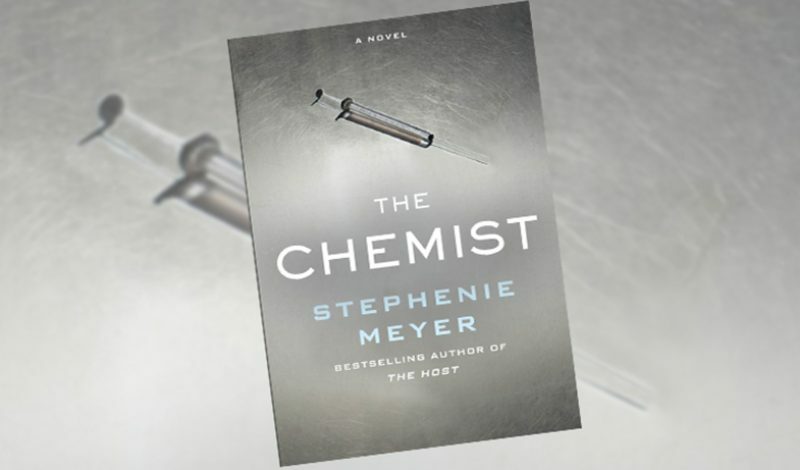 “Stephenie is one of the most prolific authors of our time with her unique portrayal of heroines that resonate with readers and television viewers around the world, and we look forward to working with her and Meghan on bringing the The Chemist to television,” said Adelstein. Best known for her Twilight series, Stephenie Meyer’s four-book collection has sold over 100 million copies globally in over 50 countries, with translations in 37 different languages. In total, her books have spent over 303 weeks on the New York Times Bestseller List. Meyer and co-founder Hibett established Fickle Fish Films, a dynamic home for literature-related films and media. Under the Fickle Fish banner, Hibbett and Meyer have produced Austenland, and the soon-to-be-released Down a Dark Hall. Prior to Fickle Fish, the two worked together on production of the highly successful TWILIGHT SAGA films. Released by Little Brown and Company in 2016, The Chemist has nearly 1 million copies in print in the U.S. and rights have been sold in 35 other countries. The story follows the gripping tale of a woman who was one of the darkest secrets of a U.S. government agency so clandestine it didn’t even have a name. And when they decided she was a liability, they came for her without warning. When her former handler offers her a way out, she realizes it’s her only chance to erase the giant target on her back but it means taking one last job for her ex-employers. To her horror, the information she acquires only makes her situation more dangerous. Tomorrow Studios, a joint venture between CEO Marty Adelstein and ITV Studios, develops and produces dramas and comedies distributed by ITV Studios Global Entertainment. Spearheaded by Adelstein and Becky Clements (President), this highly successful producing duo has already enjoyed great success with TNT on Good Behavior, starring Michelle Dockery, Hanna for Amazon Studios, and the recent series pickup of Snowpiercer, starring Jennifer Connelly and Daveed Diggs.